This ingredient can be used as a table condiment or a cooking spice. Either way it imparts a morish flavour. 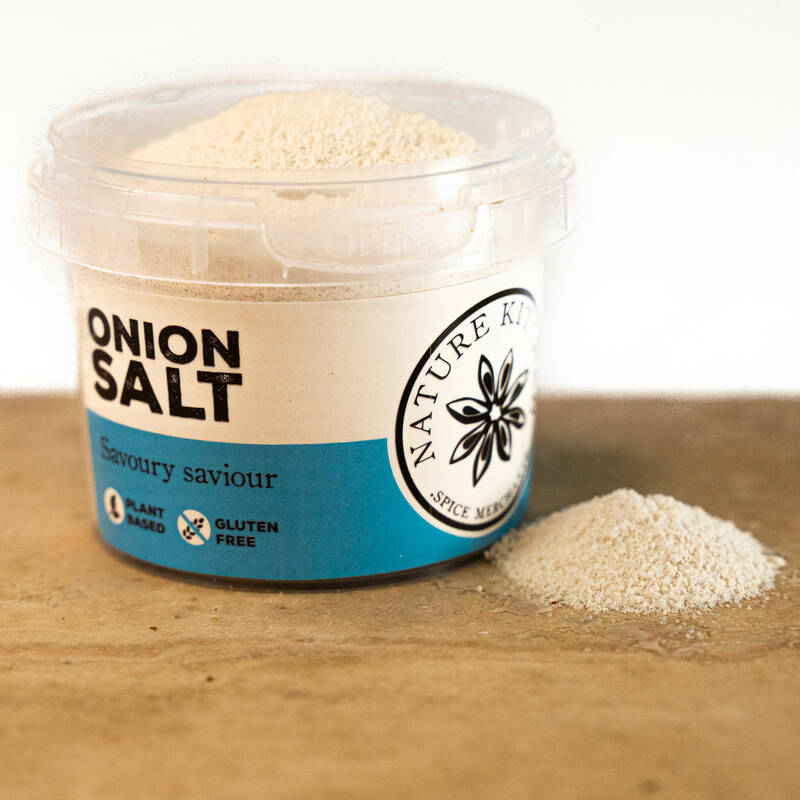 We have two of the most powerful flavours in one pot; this Onion Salt will make your meals really tasty and highly aromatic. Onion salt is a perfect seasoning to make meals stunningly delicious and delectable. For a quick Onion oil for fresh focaccia bread - add a teaspoon of Onion salt to some quality olive oil and paste on some freshly baked focaccia bread. Onion combined with salt will produce a great tasting seasoning perfect to flavour a variety of meals and is great with chicken and poultry dishes.